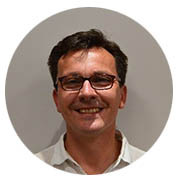 Paul works very closely with Consulting colleagues on the NHS and industry joint projects, focusing on service transformation particularly in mental health and long term conditions. He leads and co-chairs 40 HSJ Regional Networks per year covering Mental Health, Diabetes, Dermatology, Rheumatology & MSK, and Gastro & Liver. Paul has been an active Patient Representative since 2006 and currently sits on a number of committees in NHS and Social Care organisations: East Midlands Academic Health Science Network patient senate; East Midlands Clinical Senate Council; Chair of Patient Cabinet and vice chair of Patient Active at NHS Rushcliffe CCG; Chair of Musters Medical Practice PPG, and a member of the Greater Nottingham Integrated Care Partnership PPI CAG. Paul also has prior experience with Healthwatch Nottinghamshire and the National Epilepsy Society Commissioning steering group and the predecessor Practice Based Commissioning group, Principia, including Community Director; Board member on a Clinical Reference Group, Finance and Performance committee, Cardio-Respiratory Task & Finish Group; and COPD Integrated Care Pilot member. Zoe joined Wilmington Healthcare in 2017 to develop industry-leading content for the HSJ Summit series, which unites board-level NHS leadership teams with relevant professional services, pharmaceutical, medtech and other private sector firms to drive innovation and improve patient across the country. She brings this experience to the HSJ Regional Networks, and through in-depth research with both NHS and wider healthcare sector leaders, is working to ensure each meeting provides tangible value to clinicians and patients alike. Sarah joined the Wilmington Healthcare heritage company NHiS in 2008 to support a programme of healthcare training events. 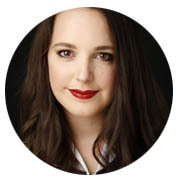 Sarah has focussed on creating and developing the HSJ Regional Network Events model over the past seven years and is now the Senior Events Manager, with responsibility for managing the current portfolio of events and looking after speaker acquisition. 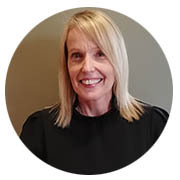 Widely experienced in customer centric and commercial management roles, Sarah is committed to creating a first-class experience for every single attendee. Outside of work Sarah enjoys time with her family, has been persuaded to take up golf and surprised herself with a recent skydive! 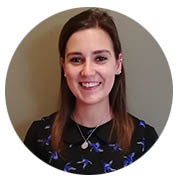 Clara’s role as Events Executive includes liaising with multiple stakeholders and clients to build and develop relationships across industry providers and the NHS. Through attending the meetings and working alongside Merle, they ensure a welcoming and smooth experience for all by organising and delivering the event operational services to the highest standard. In her spare time Clara enjoys running and is a member of the Nottingham Formula 1 Circuit Crew. She also enjoys reading and exploring new places! Merle works in partnership with Clara to organise and deliver essential event operational services, from delegate liaison and venue bookings through to the event management on the day. In addition to this, Merle assists Sarah to recruit top presenters in the region. Having joined Wilmington Healthcare in July 2018 Merle brings valuable experience gained working in similar roles in the Healthcare and Life Sciences sector. When not at work Merle has many hobbies to keep her busy including drama, dance and walking Winnie, her goldendoodle (google it!). Juliet’s role is to support the commercial team with the client journey. She is interested in finding out the objectives of clients and helping them achieve them within our events. 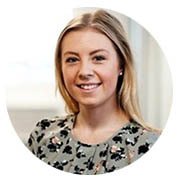 Having joined HSJ in January 2014 for the last 4 years she has helped industry leaders create relationships with senior professionals in the NHS. Juliet is your one stop shop for everything HSJ and WHC and can always point clients in the right direction. Juliet moved to the UK from New Zealand in 2013 and in her spare times makes the most of cheap flights across Europe. We’re happy to help with your questions or queries regarding the HSJ Regional Networks, please get in touch.